When thinking brings pleasure. When thinking brings pleasure? : When both artificial intelligence and human intelligence fail - call it Facebook! 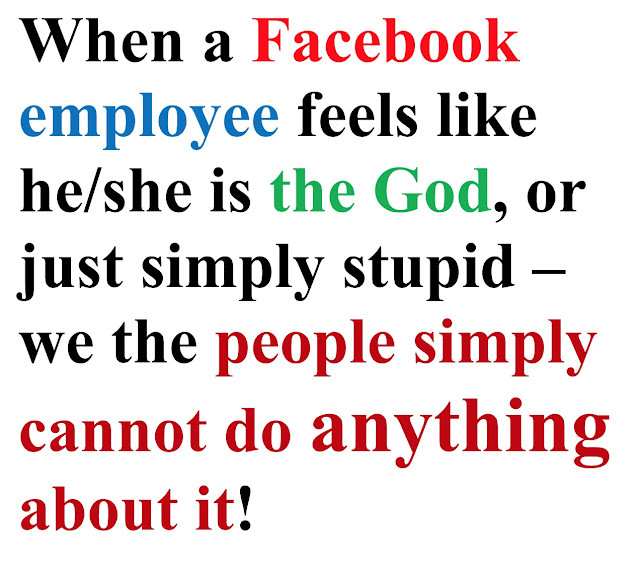 When both artificial intelligence and human intelligence fail - call it Facebook! When both artificial intelligence and human intelligence fail – call it Facebook! Once in a while I like to spend a dollar or two to promote one of my Facebook posts. It is mostly to study the reaction and to see what features in the post would attract people. Recently I got in a dispute with Facebook about one of my promotions. The hard copy of my communication is below, the story is very simple. 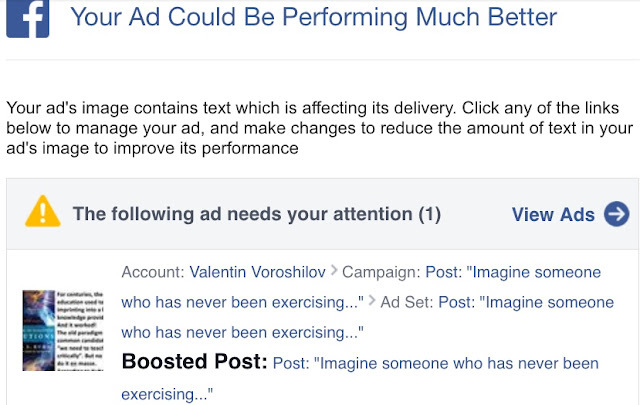 Facebook tuned its algorithm to weed out ads related to cryptocurrencies. My post had word “blockchain” in it. 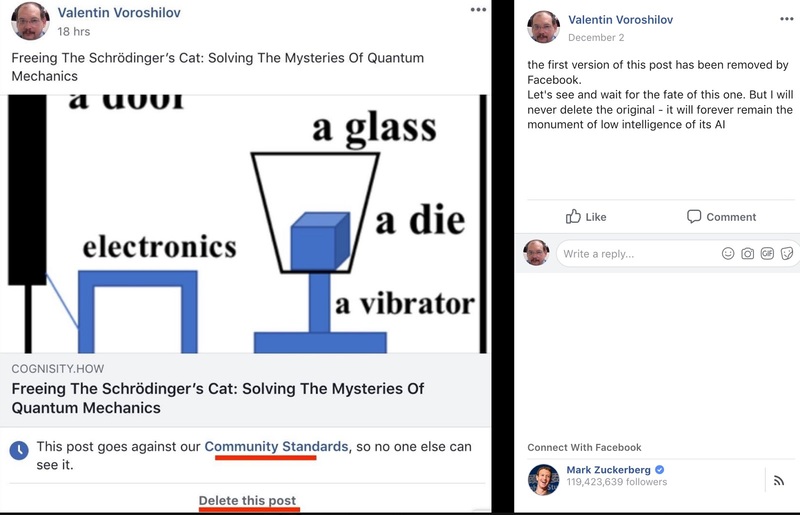 Facebook’s AI marked it as violating the rules. This part is understandable, no algorithm is perfect, but that why there is the second line of defense – people. I sent an appeal, saying that my post is about education, and “blockchain” is used in that context, and it has nothing to do with cryptocurrencies. 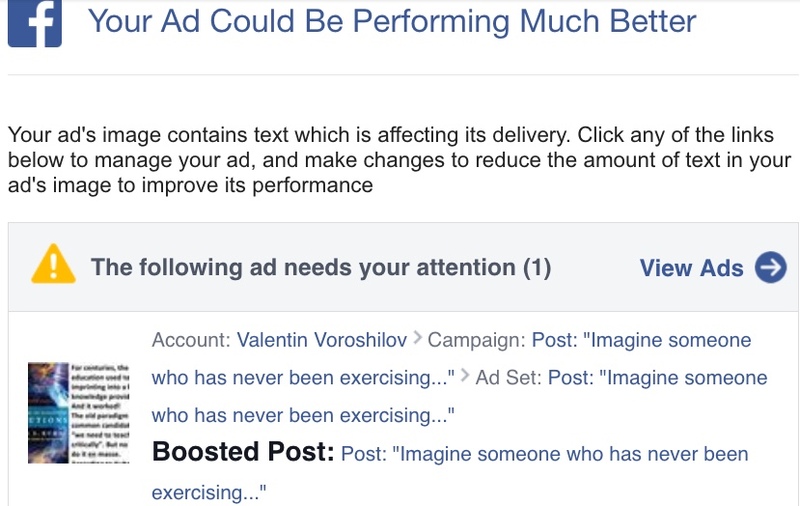 Facebook responded that my ad has too many words in it. 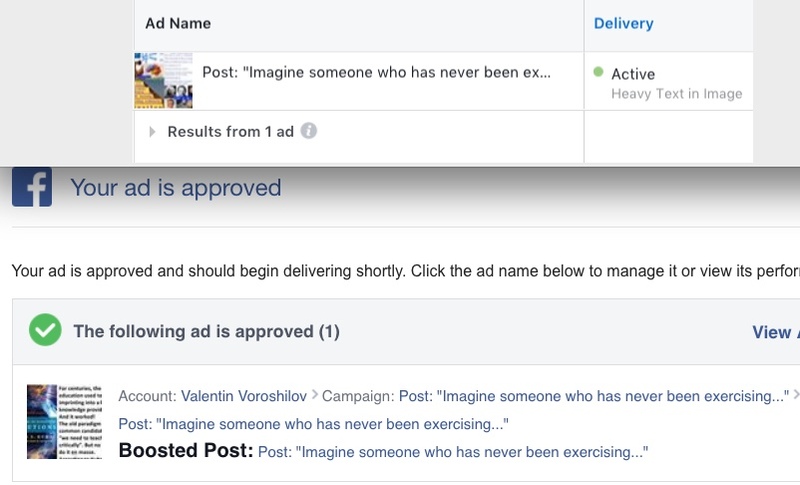 This is an interesting point – Facebook people did not address anything I said in my appeal, they just simply decided to find another reason to keep my ad off. I sent a response saying that the appearance of my ad should not concern Facebook, as long as the content does not violate the rules. Maybe I want to attract the attention only people who like reading! I also pushed another ad which also has many words in my pictures. Facebook sent me a note that my ad has too many words in my pictures, but approved it! However, since my response to Facebook's response to my appeal Facebook has not sent back to me a single word regarding the ad which was denied. What happened with that ad is very clear: Facebook’s AI made a mistake, I pointed at that mistake, but someone at Facebook took it personally and decided to keep insisting that Facebook was right from the beginning ("I am Facebook, I don't make mistakes!"). I don’t really care about my ad, at least don't care enough to do something specific (like suing) about it. But this whole story gives us again a very good illustration of the power Facebook has over people using it. 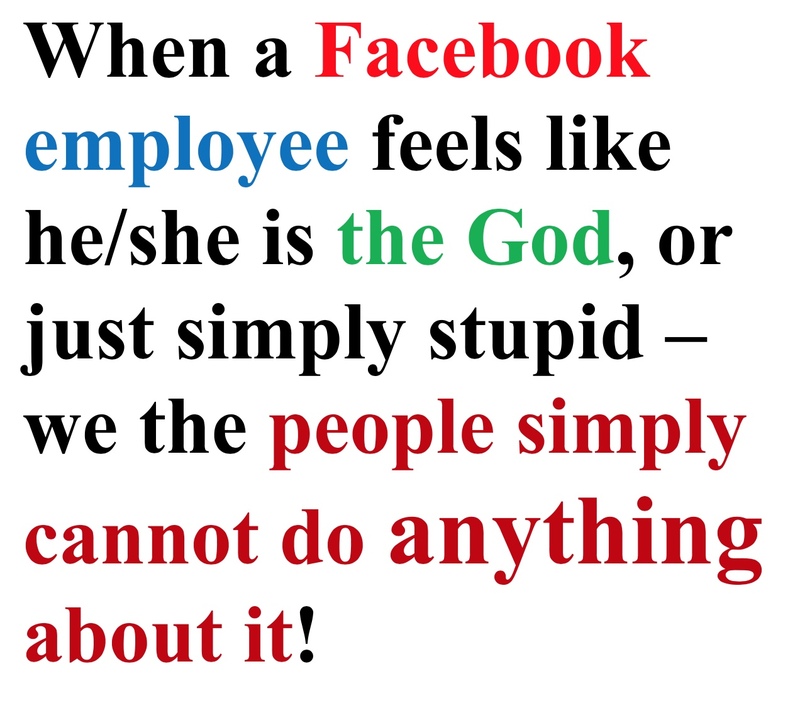 When a Facebook employee feels like he/she is the God, or just simply stupid – we the people simply cannot do anything about it! Your ad wasn't approved because it doesn't follow our Advertising Policies. We do not allow ads that promote financial products and services that are frequently associated with misleading or deceptive promotional practices, such as binary options, initial coin offerings, or cryptocurrency. How to fix: Unfortunately, we don't support your business model. If you wish to continue advertising on Facebook, we suggest promoting a different service or product. 4. check http://www.gomars.xyz/fakeLPJ.html - this is what you HAVE to weed out, and NO ONE cares (I informed FB and FBI a month ago) - SAD. We responded to your request: Your Appealed Ad 23842710447360736 was denied . To read our message, visit your Support Inbox. 2. I am sure you have NO right to deny the ad based on its appearance! It is my ad, my money, and I decide how it should look for the audience I want to reach (and I want to reach people who LIKE READING!!). Here is the Facebook's decision and the advice about another ad. And this picture is for anyone who still thinks that Facebook has a smart AI (or HI? - you decide). Just to make sure you see what FB says - it says that I want to sell Laurene Powell for $5000.